Two Russian opposition activists have partially lost their sight after unidentified assailants hurled liquid chemicals in their eyes. In both cases, the activists and their doctors are concerned that the damage may be irreparable. 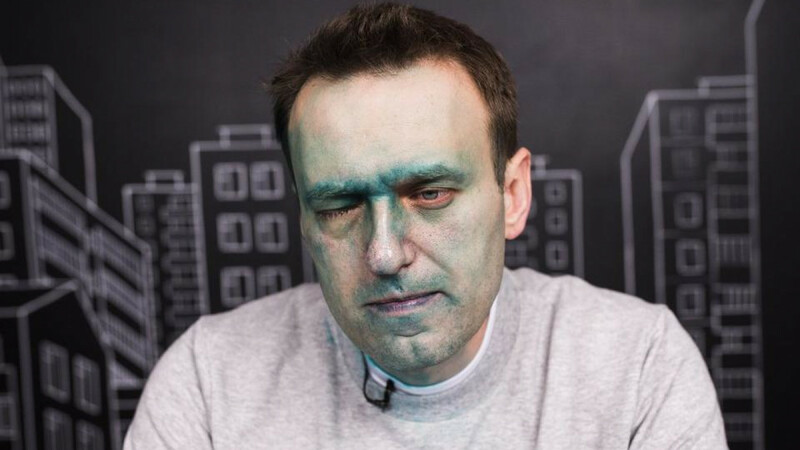 On April 27, an attacker hurled a caustic green antiseptic known as zelyonka in opposition leader Alexei Navalny’s face as he was leaving the office of his Anti-Corruption Foundation. 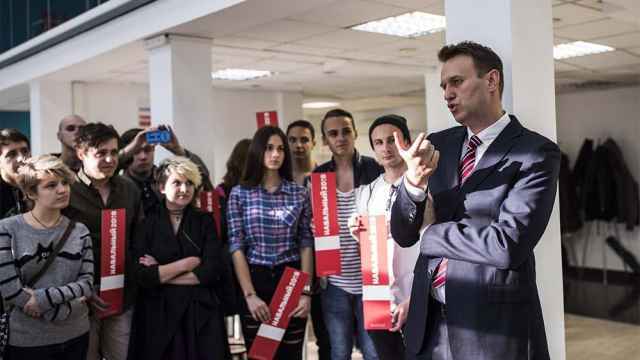 Doctors subsequently diagnosed Navalny with a “chemical burn in his right eye.” Navalny later stated that there was a risk his vision would not recover. The next day, Natalya Fyodorova, a Moscow-based activist from the Yabloko opposition party, was hospitalized after an attacker hurled a “chemical solution” in her eyes. Several days later, she can still only see out of one eye and “feels poorly,” says Sergei Mitrokhin, head of the Moscow branch of Yabloko. 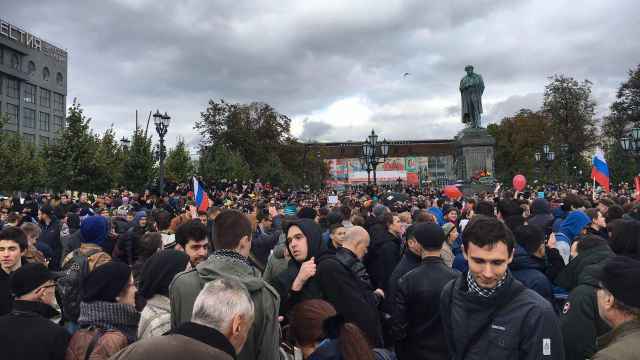 Zelyonka attacks have become part and parcel of Russian politics in recent months. Since February, at least eight opposition activists and journalists have been targeted. However, the most recent incidents suggest the attackers are moving on to harsher chemicals. In both cases, activists allege that police investigations have been languid or deceitful. After the attack on Navalny, police declined to confiscate security camera footage that could have identified the assailant. Security guards in the Anti-Corruption Foundation’s office building also told one of Navalny’s colleagues that none of the security cameras were working that day, the NewsRu.com site reported. Later, however, an employee of the Anti-Corruption Foundation released a photo of the attacker taken from security camera footage. 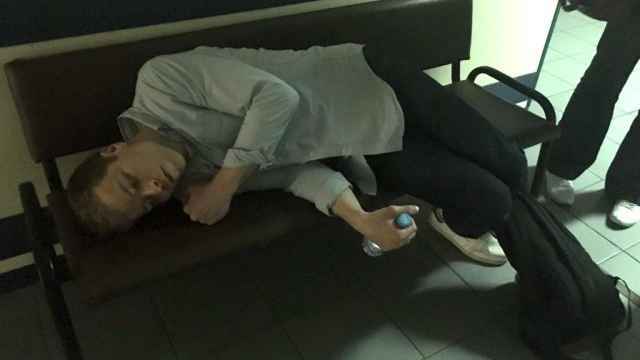 The tweet reads: "Navalny's attacker"
Navalny blamed the Kremlin for the attack, alleging that the assailant had been informed of his whereabouts. Meanwhile, according to Yabloko branch leader Mitrokhin, police suggested the motivation for Fyodorova’s attack was not political: After leaving a shop, Fyodorova was chatting with her attacker as they walked down the street — until they got into an argument, and he hurled the chemical solution in her face. “Except she wasn't leaving a shop, and she didn’t talk with anyone,” Mitrokhin wrote on Facebook. He has accused the police of creating a “consciously false account” of the incident. Authorities say they have no connection to the attacks. 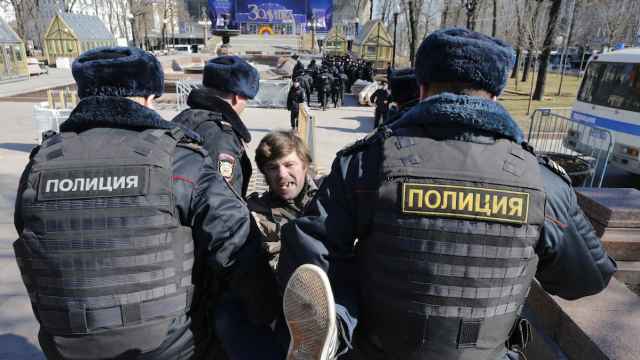 On April 30, the Gazeta.ru news site reported that the Kremlin had ordered regional law enforcement to put a stop to illegal attacks on opposition activists and investigate the perpetrators. “In fact, these attacks only help promote [the activists],” one source in the Kremlin reportedly told Gazeta.ru. Other sources cited by the site denied Kremlin involvement. But that same day, a video of the attack on Navalny appeared on the website of REN TV, a pro-government television channel with ties to the security services. The video appeared to have been shot by a bystander who may have known about the attack in advance. The face of the attacker, who is shown running from the scene, was blurred by the TV channel.